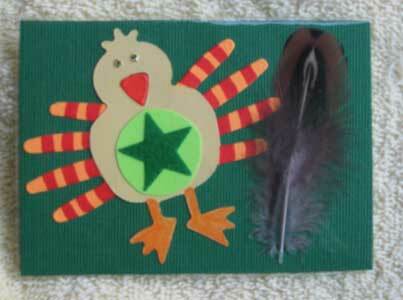 "Yummy, yummy, yummy, I've got bird in my tummy." Bird? What bird?? Did you see a bird? "Feathers" (not "Birds") was the theme of the February FiberAntics ATC swap. 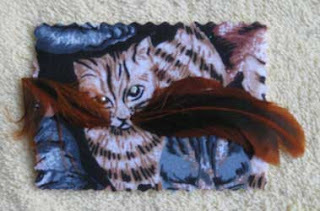 The cat on this ATC (gulp) appears to have a mouthful. 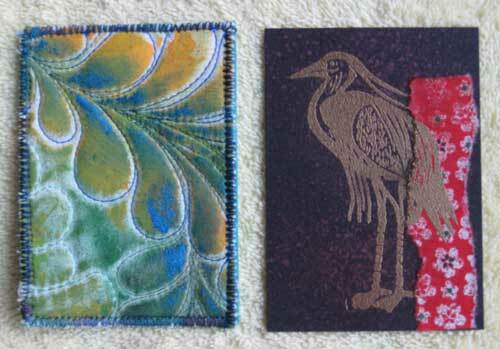 Photos, fabric, die-cuts, paint, stamped images and, of course, feathers adorn the other interpretations of this Artist Trading Card theme. Enjoy! 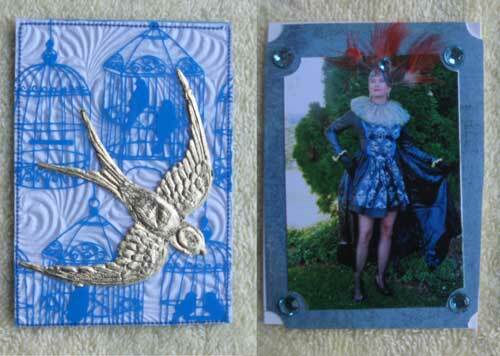 Left: "Feathered Friends" Right: "Feathers" with my sister as the model. 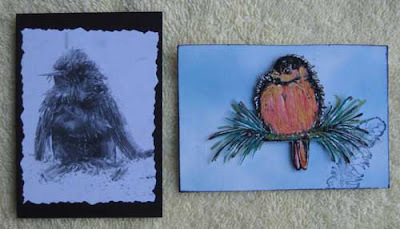 Left: "Quothe the Raven: "Nevermore"" from a photo taken in 1971. Right: "Birds of a Feather"
Left: "Painted Feathers" Right: "Feathers"
These are all so cool! The Molting bird and the cat eating the bird made me laugh! The cat with the feathers in its mouth cracked me up, too!